His left jab is menacing. His right cross is lethal. And the IBF, IBO and WBA title belts draped across his shoulder – not to mention a pristine record of 19 knockouts in 19 fights – are ample testament to the ability Anthony Joshua has inside a boxing ring. But that’s not all the newly-minted 28-year-old is about. In fact, the level of excitement attained since Joshua arrived on the championship level goes well past his penchant for leaving 200-plus-pound men in a state of pseudo-consciousness. 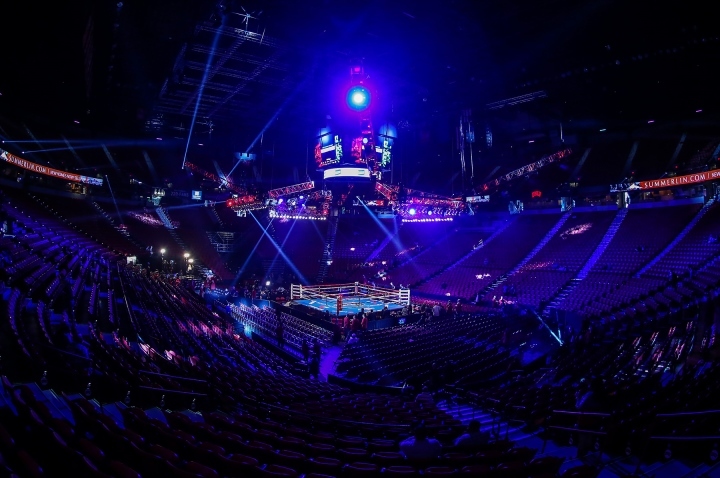 The executives at Showtime were quick to make a deal with Joshua’s UK-based team, ensuring that the cable giant will be the exclusive provider of his fights to the United States audience. Not coincidentally, Joshua took a giant step toward the U.S. mainstream with a midyear appearance on “The Late Late Show with James Corden,” which airs on Showtime’s parent company, CBS. The guest spot came weeks after Joshua stopped longtime former heavyweight king Wladimir Klitschko in a fight that both legitimized his title claim and earned early nods as 2017’s top fight. In other words, he’s the sort of boxer who can re-legitimize boxing. “(It) was the best thing to happen to the heavyweight division in many years,” said Randy Gordon, former chairman of the New York State Athletic Commission. “Boxing fans, and even casual fans, were talking about the Joshua-Klitschko fight for days afterwards. It was the kind of title fight which makes fight fans proud to be fight fans. It was the kind of title fight which attracts new fans to the sport. On the Corden show, which was filmed as part of the host’s three-day stay in London, Joshua appeared alongside actor Russell Brand and allowed Corden to wear the IBO strap that he earned with the Klitschko win. The title had been Klitschko’s from 2006 until his 2015 loss to Tyson Fury, but it was declared vacant when Fury was unable to defend due to injury and myriad personal problems. The evidence of Joshua’s evolution continued in late June, when he topped a list of the world’s 50 most marketable athletes compiled by London-based SportPro magazine. The list focuses on marketing potential over the next three years and examines how crossovers with influencers from entertainment and other media are changing the world of sporting endorsements, and how the rise of digital sports is creating new heroes and new opportunities for brands. Joining Joshua were NBA star Stephen Curry (No. 2) and NFL standout Odell Beckham Jr. (No. 10), as well as mixed martial artist Conor McGregor (No. 4). Also making the top 10 were soccer players Paul Pogba (No. 3) and Neymar (No. 7), cricket player Virat Kohli (No. 5), golfer Jordan Spieth (No. 6), gymnast Simone Biles (No. 8) and skier Mikaela Shiffrin (No. 9). Joshua was the only boxer on the list, which included 20 Americans and five athletes each from the UK and Canada. Overall, 19 nationalities were represented across 22 sports. “For the past few years, we’ve all watched Anthony Joshua and asked whether he was too good to be true,” said SportsPro’s editor, Eoin Connolly. “He was charismatic, photogenic, humble, devastatingly powerful, yet still untested at the highest level of a sport that has laid waste to many a young reputation. His contest with Wladimir Klitschko was a trial of his quality and his character and it was one he handled better than he or any of his team could have imagined. [QUOTE=Kigali;18159648]Wilder only gets wild after he gets you hurt. [/QUOTE] True I can agree with that.